The Hello Kitty Cafe Truck Returns to Orlando! 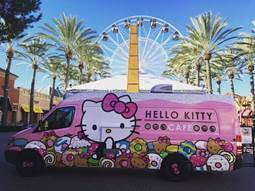 The hugely popular Hello Kitty Cafe Truck will be returning to Orlando, making an appearance at Altamonte Mall on Saturday, March 4th. The Hello Kitty Cafe Truck is a mobile vehicle of cuteness that offers a delicious array of Hello Kitty sweets and special goodies to fans of all ages; it has been rolling up to festivals & events across the U.S. since its official debut at Hello Kitty Con in October 2014. 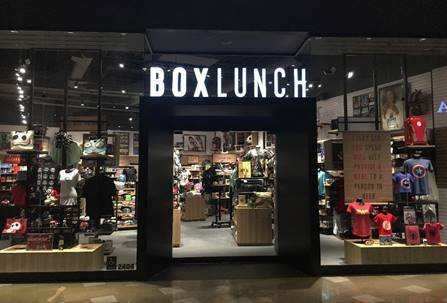 Based on the success of the Hello Kitty Cafe Truck, Sanrio opened the Hello Kitty Cafe Pop-Up Container in Irvine, CA, in July 2016 to continue to spread their message of happiness, friendship and fun through yummy goodies & beverages featuring Hello Kitty and other character friends. The Hello Kitty Cafe Pop-Up Container, located at the Irvine Spectrum Center, will be open for a year-long residency and offers a menu completely different from the Hello Kitty Cafe Truck.